Hello, lovelies~ One of the few makeup items that can help me make my small, uneven, monolid eyes look more wide awake is mascara, aside from eyeliner, of course. I have short, sparse and straight eyelashes like most of my family members, lol. 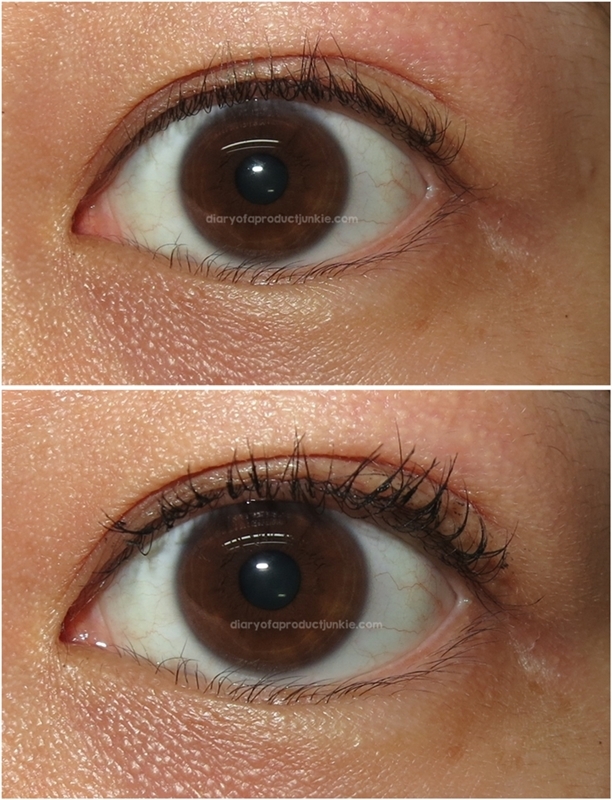 Mascara helps to keep the lashes curled, giving my eyes a fresh appearance. In the past, I have tried many mascaras and their formulations, only to always come back to those with waterproof ones. I feel that it holds the curl better than non-waterproof formulations. Today, I want to review the latest mascara from Maybelline called The Rocket Volum'Express. The mascara comes sealed in plastic to indicate that it is brand new and doesn't have any separate boxes, like most Maybelline mascaras. It has a deep blue color with a red ring near the part where the opening is. Unlike my other mascara brushes, this one is made of rubber with fine rubber bristles on it. The brush itself is large like most volumizing mascara wands. The formulation is more of a 'wet' formula, but I tend to brush off the excess before applying it to my lashes, anyway. After curling my lashes, I coat my lashes with the mascara (after dabbing the excess on a paper towel) without any problems, whatsoever. 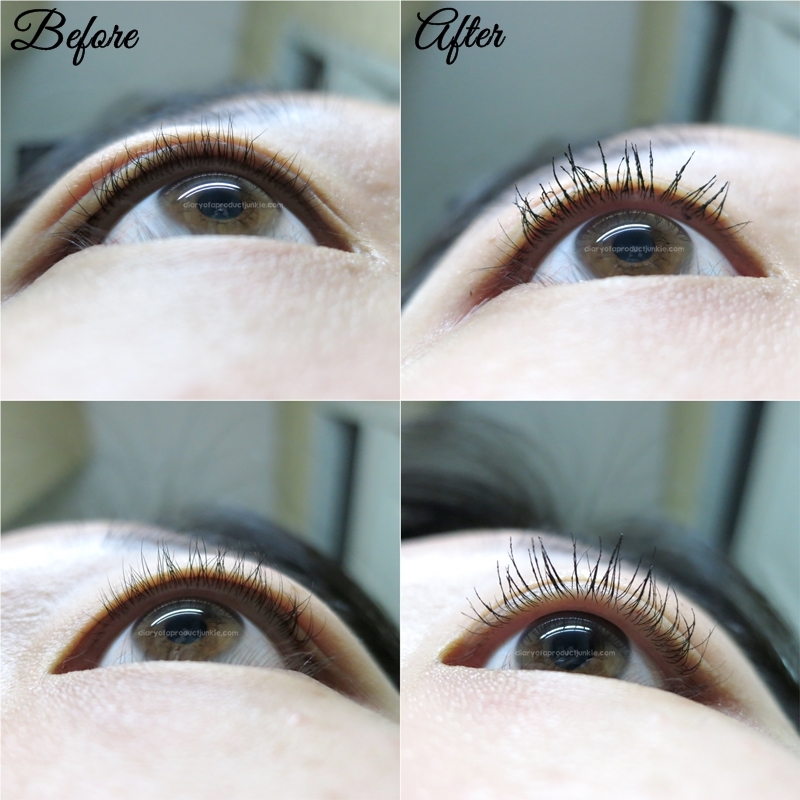 Instead of volumizing, I find that it lengthens my lashes as well. Since my lashes are thin, they end up looking like spider lashes, but I don't mind since most mascaras always ends like this on my sad, sad lashes. This mascara holds my curls all day long, despite its non-waterproof formulation. Just for reference, I work in an air-conditioned environment, so I rarely sweat profusely. At the end of the day, my lashes are still curled like they did in the morning and my under eye area is clean, no black dots or panda eyes. I tried removing it with a cotton pad soaked in warm water and it's gone. From the residue on the cotton pad, it looks like the formulation forms a 'tube-like' coating on each lash and sticks on until it is removed. Awesome! Overall, this may be my favorite non-waterproof mascara since it still manages to keep my lashes curled in place and removing it is so easy. Since my eyelids have excess fat, it conceals the lashes, so it won't show up sometimes. However, I think this would look good on double eyelids. Refer to the table below for more pros and cons.